At times when there are more sellers than buyers and available listings far exceed demand, when you need to sell your French home faster every little detail helps to make a property more appealing to the buyer. House hunters can afford to take a long time before deciding which property to buy. So what is the best approach if you’re planning to put your house on the market, or if your house has lingered on the market for a while without receiving any offers? Most people know if they want a house within a few minutes of walking in the front door. Home staging is the art of making those few minutes count. Home staging works for houses in every price class. It is about emphasizing the best features of your house by enhancing space, light and traffic flow so that as many house hunters as possible can imagine themselves and their belongings in the house. Do not assume that buyers will see past the flaws and clutter. No matter how logical a list of criteria buyers draw up before starting their house hunt, the actual decision about which house to purchase is almost always an emotional one. 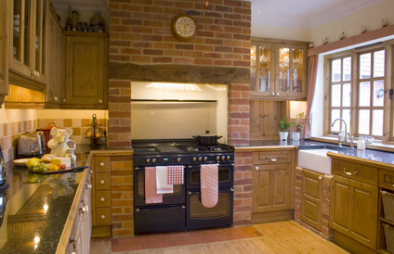 Once viewers fall in love with a house, they quickly dispense with requirements that were first considered essential. Suddenly it doesn’t matter anymore that the house doesn’t have an eat-in kitchen or two hectares of land. Suddenly it is their dream home and they want it. Be objective. Take photos of the exterior and all the rooms in your house. Familiarity can blind you but photos don’t lie. Look at them through buyer’s eyes and you’ll very likely see that your house needs some help. If you’re very brave you’ll also ask friends or family members for their honest opinion. Declutter. Tidy up every room. You’re going to move anyway, so you might as well start packing non-essential items now. Clear half the books out of your bookcases and pack up, give away or throw away anything you don’t use or need. Resist the temptation to store the boxes in the barn, cellar or garage. These areas are for sale as well and need to look their best. If they are full of boxes viewers may think there isn’t enough storage space in the house itself, so store things off-site. Depersonalise. This does not mean that your house should be sterile and empty with white or magnolia walls in every room and no accessories at all. All it means is that those items that make it very specifically your house might distract viewers from the house itself and should be removed. This includes diplomas, photos, awards, souvenirs, religious items and children’s drawings. You don’t want viewers to remember your house as the “one with the big crucifix over the bed” or “the one with that collection of penguins in the windowsill.” Instead your house should be remembered as having a stunning view or beautiful original fireplace. House hunters tend to see many properties in one day and it is crucial that personal items don’t distract them or you’re bound to lose them. Finish DIY jobs. Finish all those outstanding little jobs that send the subliminal message that your house needs work. Something as easy to fix as an old water stain in a ceiling can easily put off potential buyers. Be sure to have the right tools for the job to make this part of the process as quick and easy as possible. Neutralise. You may love the stenciling you applied to your walls twenty years ago or your fire-engine red kitchen cabinets, but you are not going to be living in your house anymore, so paint over them in warm neutral colours. As much as it may hurt, the goal is to create a look that will appeal to the broadest buying audience. Let the light in. Remove heavy window treatments, clean window panes, paint woodwork and beams a lighter colour and increase the wattage in your light fixtures. A light room appears much bigger than a gloomy room, so refresh your lighting and update your light bulbs to show your house at its best. Clean, clean and clean again. Dirt is visual clutter. Although many viewers may not be aware of dirt at a conscious level it will stop them from making an emotional attachment to your home. Stock up on cleaning supplies and have a regular cleaning schedule so that the house is ready for viewings at any time. Make sure to get rid of any pet odours. Of all the senses, smell has the strongest influence on our emotions. If you haven’t already, ban indoor smoking and keep pets groomed. Improve curb appeal. The presentation of the exterior is as important as the inside of your house. The main photo in the estate agent’s listing tends to be an exterior shot. It should say “come and view me, I’m a lovely house”, not “I’m not worth a visit, keep browsing.” Again, quality landscaping tools are worth investing in to make your garden is presentable and your lawn well-kept. Finally, don’t forget to include fresh plants and flowers in the living spaces in photos and during viewings, they are the essential finishing touches after all your hard work. The first thing you have to sell about your house isn’t even your house – it’s the photos of your house. If those photos don’t reach out and grab house hunters when they look at your agent’s books or scan the internet, you risk losing sales right at the outset. You certainly won’t sell a house to someone who doesn’t bother to come view it. So after you’ve completed step one, take new photos and look at them with a critical eye. Will this house draw in the buyers? If you’re planning on listing with one or more estate agents, look at each agent’s website and if you don’t like what you see you might consider not listing with that particular one. Or you might want to provide the photos yourself. If you don’t have a digital camera get a friend or professional photographer to take the photos for you – and make sure they do this on a sunny day! Although many agents take excellent photos and ensure that they show your property in a good light, others have no idea how to take a decent interior shot and don’t hesitate to include the owners, baskets with dirty laundry and even their own bag and coat in the photos. Never be afraid to provide your agent with new photos if your house is already listed and you have made the improvements suggested under step one. In addition, make sure that the description of your property on the agent’s website is correct and as complete as possible. Put yourself in the shoes of a homebuyer and think what information you would like to see. Check both the English and French versions of the description. Estate agents are human beings and make errors. Sometimes a bedroom or bathroom gets forgotten, the square footage entered incorrectly or even the price may be wrong. This is crucial stuff and it would be a big mistake to sit back and expect other people to do all the work for you. Good photos and an informative description will make your property stand out from the competition even before house hunters have come through your front door. Pricing your property correctly will draw more viewers; it’s a simple as that. If you overprice your house, chances are that the house will linger on the market and statistics show that houses that “sit” on the market end up selling for less than if they had been accurately priced in the first place. Research comparable properties for sale in your area and discuss the pricing strategy with your agent. Your local estate agent has access to all the relevant statistics and knows the market better than anyone else. Resist the temptation to list your property for higher than the recommendations of the agents. You’ll loose valuable time and chase away potential buyers. Finally, Sophia pointed out that staged houses on average tend to sell for 6% more than other properties, and in a much shorter time. Another advantage is that French homeowners are not that familiar with the concept, so as a foreign seller you have an extra edge. A small investment now will pay off big time when you sell your house. To get your house looking its best for potential buyers, visit screwfix.eu where you can stock up on a range of top quality power tools and hand tools, decorating supplies, cleaning supplies and landscaping tools. Screwfix deliver to France within 2-3 working days and delivery is free for orders over €70; a quick and easy way to get quality products that you can trust delivered to your door. Shop now. •With thanks to Sophia Mose, property buyer’s agent in Provence. Sell your property in France with FrenchEntree. 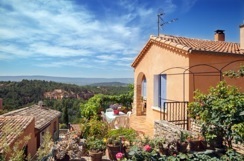 Our database of over 11,000 French properties for sale is supported by an unrivalled wealth of advice and information.